Are you looking for an alternative and much cheaper option to a permanent car shelter such as a carport or garage? If you are, I have some great news for you. There are quite a few semi-permanent car shelter solutions available that will certainly fit the bill. These solutions are ideal for residential purposes and for commercial shopping centre car parks as well. Best purchase what will be most attractive is their price tag; they are incredibly cost effective and won’t break the bank! 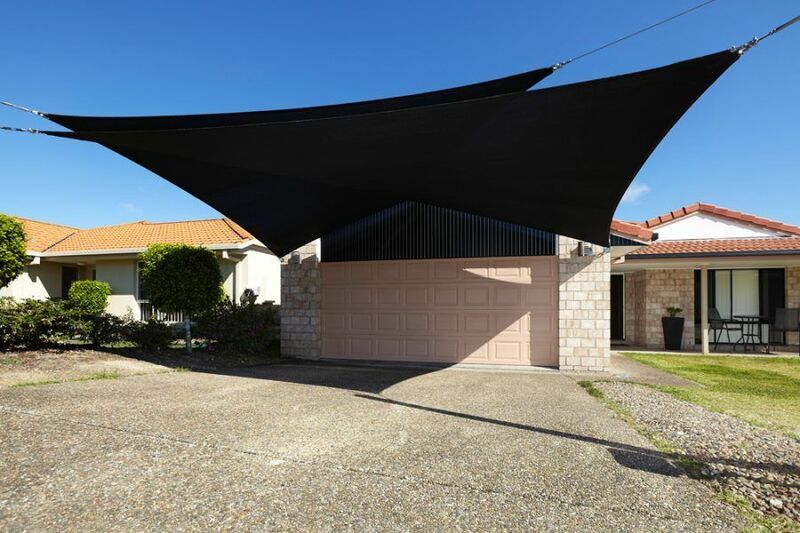 According to homeimprovementpages.com.au, a carport can cost anywhere between $1,000 and $5,000 depending on your requirements. This is without taking into consideration the installation cost, which is around $70 per hour these days. If we look at a permanent brick garage, then you can expect to pay between $15,000 and $30,000. Certainly, these prices are not affordable for all homeowners. In addition to the price, you may also be looking for a less permanent structure. Thankfully, Global Shade has just the answer for you. As a shade solution provider, I specialise in offering affordable alternatives to permanent car shelters. Continue reading as I list our 3 most popular car shelter solutions that you can consider for your car shelter. I am a big fan of using shade sails to provide car shelter. Shade sails are incredibly flexible and can be custom made into any size. We make ours from special high-quality UV-R fabrics that will protect your car from the harsh Australian sun, rain and even hail. They are very easy to install which means you can do it yourself and enjoy further savings. However, perhaps their biggest benefit is that along with functionality, they are also incredibly attractive to look at. You have a choice of 22 different colours to choose from, so you are bound to find a suitable colour to complement your home. By installing our shade sails, you will get an attractive looking shade solution that will protect your car. 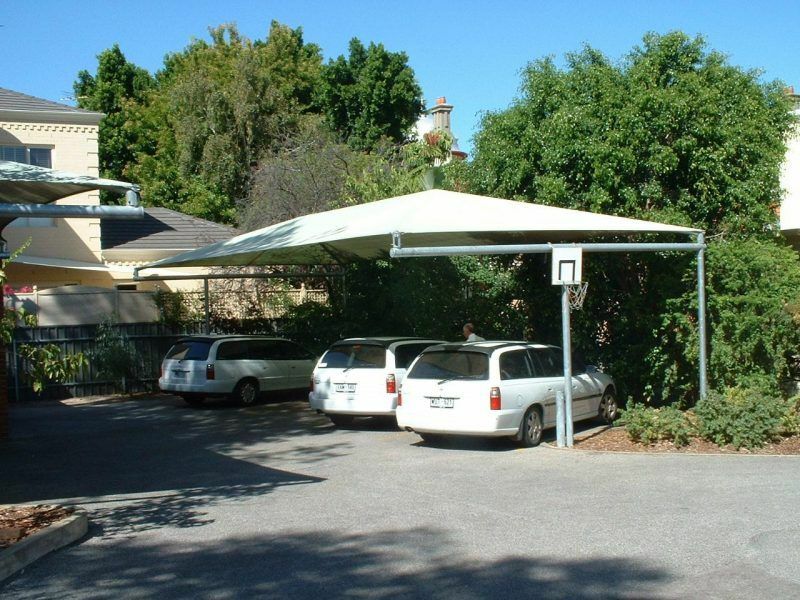 Canopies are another excellent alternative to other permanent car shelter solutions. They are incredibly strong, functional and unobtrusive. These engineered structures consist of vertical posts to which a fabric is attached. I find canopies to be incredibly versatile and because they contain posts only on the rear ends, they are an ideal car shelter solution. They allow for easy parking, they will help reduce the risk of accidents and will keep your car protected in all weather conditions. What’s not to love? At Global Shade, our canopies are manufactured using only high-quality PVC, shade cloth and Teflon coated waterproof fabrics. They are UV treated as well, so your car will not face any issues with UV degradation. Click here to view information on our canopies. If you’re looking for a custom car shelter for residential or commercial applications, Global Shade has the perfect solution for you. Our freestanding custom shade structures are can be used to cover a single car or even a large parking lot. Our rigid shade structures consist of steel frames or cantilevers from which a waterproof fabric is hung. We can custom create our shade structures in any shape or size. Our shade structures are incredibly stylish to look at, thanks to the high quality Rainbow Shade fabrics that we use. If you’re looking for cheaper alternatives to permanent car shelters, then there are many solutions you can consider. Some of the best car shelter solutions you can choose from include shade sails, canopies and custom shade structures. All these solutions are semi-permanent structures that can provide adequate protection to a car from rain, sun, hail and wind. If you’re convinced and you’d like to purchase alternative car shade structures, get in touch with us at Global Shade. 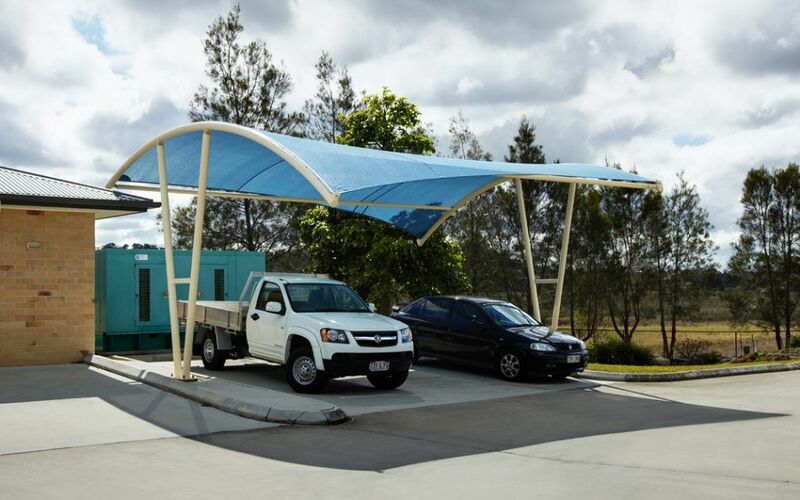 We’re one of Australia’s leading suppliers of car shelter solutions and have installed several shade structures for both residential and commercial applications. Simply give us a call with your requirements and we’ll provide you with a no obligation free measure and quote. You cannot go wrong when you deal with reputed professionals like us!